Description: Join atxGALS for a one-night pop-up art event celebrating Austin's most creative art GALS. 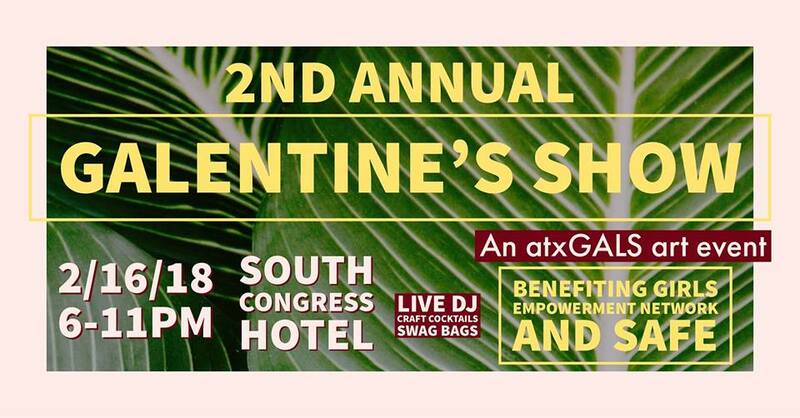 Enjoy the artwork of 15 local women artists, 2 live DJ sets, craft cocktails from South Congress Hotel, swag bags for the first 100 attendees, and fun raffle giveaways throughout the night. More details here.